The following list are just a few of the verdicts and settlements we’ve assisted our clients with over the last few years. If you have questions about your case, give us a call to speak with one of our legal staff. 1. We recovered $1,825,000 for a family injured in a car accident in which their minivan left the highway and crashed as a result of a blow out of a tire. The tire was approximately 9 years old at the time of the accident. The manufacturer of the tire paid the settlement as a result of the failure to display an expiration date on the tire. The retail store that installed the tire on the car paid because the tire was approximately 5 years old at the time it was placed on the car, even though the car owner thought he was buying a new tire. Even though the tire had never been used, we contended that it was deceptive marketing since it was old and the buyer was not told. A young child died in the accident and another child had internal injuries and an adult had surgery of the ankle for factures. Studies are now being performed by the federal government agency in charge of motor vehicle safety to determine whether or not to require all tire manufacturers to place expiration or manufacture dates on tires so that consumers know their age before using the car or buying the tire. This case was used by the consumer groups that persuaded the government to finally study this important issue, as it is believed to be the only settlement of its kind that recognizes that expiration dates should be placed on automobile tires. 2. Our clients’ daughter was killed when a truck crossed over the center line of the roadway in Massachusetts causing a head-on collision. The driver was convicted by a judge of negligent homicide by a motor vehicle. We brought this case in Federal Court in Massachusetts to take advantage of the more liberal laws concerning damages for wrongful death and, we were able to recover $1,800,000 for the family. 3. A demolition construction site laborer fractured his wrist when he fell through a hole in a partially demolished floor and landed on the floor below. He also injured his back and, several years after the accident, he had a discectomy. We were able to recover $1,250,000 even though the client’s back injury was first diagnosed approximately five years after the accident and his broken wrist had completely healed. 4.  A jury awarded our client $925,000 for a thumb injury which occurred when she quickly pulled her hand out of an oven while she was attempting to light the oven with a match and a flashback occurred. She had previously complained to the owner of the apartment she rented that the stove was not working and that she had to use matches to light the oven because the automatic lighting feature was broken. She was diagnosed with a torn ligament in her thumb and underwent surgery to repair it. She claimed at trial that she suffers from arthritis in her thumb as a result. 5. A roofer who fell from the roof of a school, broke his leg and injured his knee. He had arthroscopic surgery on his knee and claimed he was unable to continue working as a roofer. We were able to recover $1,100,000 for him even though we could only prove that he worked as a roofer for a short time before the accident and his fractured leg had healed well. 6. Our client was injured when he fell from a ladder while doing plumbing work at the Verrazano Bridge. He had arthroscopic surgery to his knee and a few years later had surgery to his back. We were able to collect $875,000 for him. His own accident report showed that he had not fallen from a ladder but had fallen while walking on the floor. 7. Our client was injured when she was involved in a head-on collision on a road in Long Island and had arthroscopic surgery to both of her knees and one shoulder. We proved that she could no longer work as a manager in fast-food restaurants which was her previous job. The defendants’ expert vocational rehabilitation specialist disagreed and contended that there were many jobs that she could do instead. We recovered $875,000 for her. 8. We received a verdict from a Brooklyn jury in the amount of $1,100,000 for a woman who drove a car into the rear of a tractor trailer truck which had changed lanes in front of her on the Brooklyn Queens Expressway and then stopped suddenly because of another accident up ahead. The plaintiff had sustained a fractured clavicle and a shoulder injury which required arthroscopic surgery and also had forehead scar repaired in the emergency room. 9. We recovered $650,000 for a passenger of a car that struck a telephone pole. The driver of the car lost control while rounding a curve and our client fractured his nose and his left talus, a bone in the ankle. He underwent arthroscopic surgery of the ankle to remove a bone fragment. We were able to demand a large settlement because his x-rays showed early arthritic changes in his ankle which we claimed resulted in ongoing pain. 10. A construction worker client received $787,000 after he fractured his ankle while working at a construction site. A large pipe fell because it was not properly secured on a lift and hit his ankle. He had surgery with the insertion of a plate and screws and, instead of continuing to work as a plumber, went into the medical profession as a radiology technician after the accident. 11. A client who was injured in a car accident received $675,000 for a neck and cervical spine injury which required surgery. He already had a serious problem with this before the accident. 12. A medical malpractice action was settled for $478,000 for a 66 year old woman’s family when she died after the anesthesiologist failed to properly insert a catheter into her vein. The plaintiff was on total disability and not working at the time of the accident, which limited her damages under the law. 13. Our client was awarded $700,000 by a jury in New York Supreme Court after he had fallen down the basement stairs at his place of employment and hit his head on the floor. He later began having seizures which we proved were the result of hitting his head in the accident. Although the defendant’s expert testified that he cannot have suffered seizures from such a minor head injury, we convinced the jury through the plaintiff’s treating neurologist that the fall was the cause of the seizure disorder which required him to take anticonvulsant medication to stop the seizures. We were especially pleased with this result because the client was of the Muslim faith from Morocco, and the trial occurred soon after the 9/11 World Trade Center tragedy. 14. We settled a medical malpractice case against a plastic surgeon for $500,000 on behalf of a woman who had scars on her upper arms as a result of surgery to remove some of the excess fat of the arms. She also had breast scars from a breast reduction surgery. The doctor was suspended from practice by the New York State Department of Health as a result, in part, of this case. 15. We represented a woman in a medical malpractice suit who had weight reduction surgery and then became ill as the result of a leak in a portion of her colon. We recovered $450,000 in a settlement with the surgeon and hospital. She had missed some work as a teacher’s assistant in an elementary school but thankfully did lose quite a bit of weight as a result of the surgery and made a full recovery. 16. We settled a case for $500,000 for an older woman who was knocked to the ground by an airport employee pushing a passenger’s luggage on a luggage cart. She struck her knee on the floor when she fell and she had knee surgery as a result. We were able to convince the insurance company to pay this money even though there were no complaints of knee pain in the hospital ER doctor’s records for several weeks after the accident. 17. We settled a case for a woman who fell on the sidewalk as a result of a crack. She broke her arm and later had back surgery. We recovered $750,000. If you’ve been injured or involved in an accident, do not wait. Protect your rights and contact us today.